Each resort in the Maldives is housed on a separate island by itself and offers an exotic blend of modern luxury and isolated serenity. 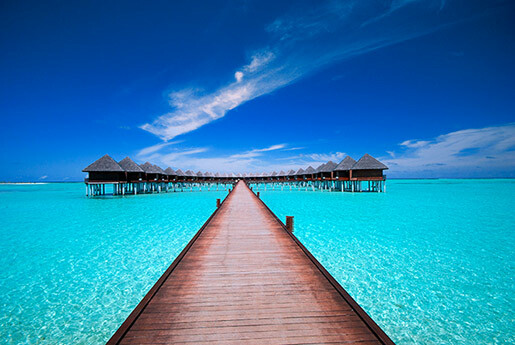 With no exception, all Maldives resorts have soft sandy beaches, translucent clear lagoons enclosed by house reefs inhabited by a variety of marine flora and fauna and everything else you would expect on a tropical holiday – all within only a few minute’s walking distance. However, each resort island has its individual charm, character and ambience that can best be appreciated through personal experience.